He worked at the Political Economics Department of the Moscow Lomonosov State University (1981–1991). He worked at the Institute of National Economic Forecasting, the Russian Academy of Sciences (lead researcher, head of laboratory) (1991–1998). Director of the Research Department of the Russian Central Bank (1998–1999). Executive Director of the Economic Research Foundation Development Center (1999–2004). 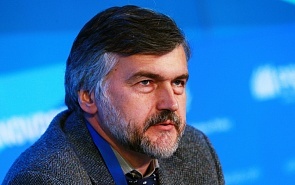 Head of the Macro Economic Forecasting Department of the Russian Economic Development and Trade Ministry (2004–2008). Russian Economic Development Deputy Minister (2008–2014). He was awarded a title of Honored Economist for improving the Russian financial system, forming and developing its institutions (2007). He was awarded the Order of Honour for his many years of exceptional work and active public activities (2011). Today the world is about to make a new technological breakthrough which is linked with the interaction of information and communication technology, and the development of medicine and biotechnology. Russia’s certain achievements in these spheres will allow it to become a serious global player. We need to think not only about today or the short-term future, but about our long-term challenges as well. These are global challenges, such as the aging population, ecological problems or climate change. This is also a long-term strategy problem for Russia, which includes, for example, the exploration of Siberia.